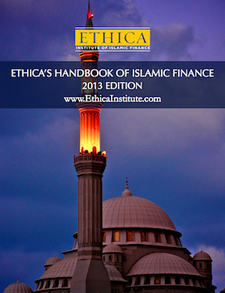 A report from Standard & Poor’s Paris office – The Sukuk Market Has Continued To Progress In 2009 Despite Some Roadblocks – notes that new issues of "sukuk (bonds compliant with Islamic law) topped $9.3 billion in the first seven months of 2009 compared with $11.1 billion during the same period in 2008. "The smaller amount of issuance was due not only to the still-challenging market conditions and drying up of liquidity, but also to the less-supportive economic environment in the Gulf Cooperation Council countries, particularly in the United Arab Emirates," explained credit analyst Mohamed Damak. "The medium-term outlook for the sukuk market remains positive, though, in our view, given the strong pipeline–with sukuk announced or being talked about in the market estimated at about $50 billion–and efforts to resolve the major difficulties impeding sukuk market development." Malaysia has taken the lead as the major country of issuance for sukuk, accounting for about 45 percent of sukuk issuances in the first seven months of 2009. Issuers in the Kingdom of Saudi Arabia have contributed another 22 percent of sukuk issued during the same period. S&P pointed out that the "default of a couple of sukuk was possibly partly responsible for the slowdown in issuance. The silver lining was that these defaults should provide the market with useful information on how sukuk will behave following default." This entry was posted in Reports and publications, Sukuk, United Arab Emirates and tagged Islamic Banking, Islamic finance, Sukuk. Bookmark the permalink.